From the door through Rosthwaite and up through Rigg Head Quarries toward High Spy from there you can walk the ridge all the way to Maiden Moor and Catbells taking in the most magnificient views of Derwentwater and the Borrowdale Valley. The fell reaches a height of 653 metres (2142 feet) and is defended by crags to the east and west as it falls away steeply to the valleys. It is a distinctive fell that has 148 metres of topographic prominence from the higher adjoining fell of Dale Head and so misses being a Marilyn by only two metres. 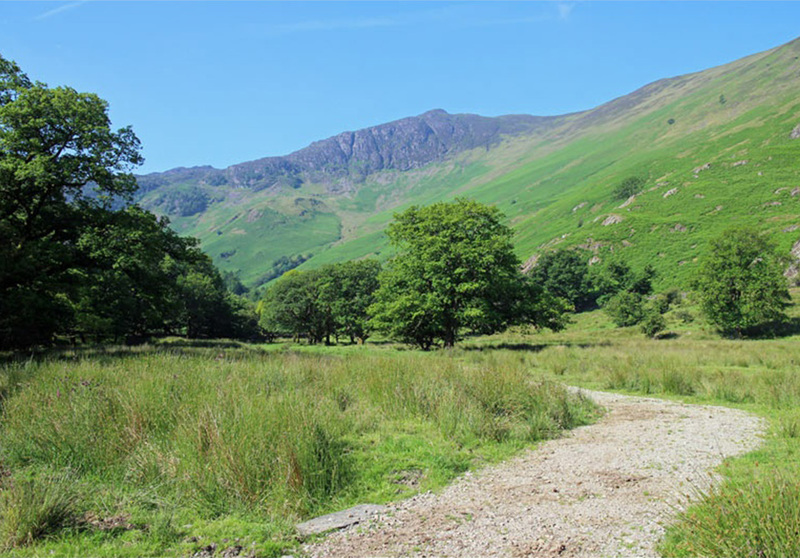 Geologically the fell is made up of Borrowdale Volcanics.